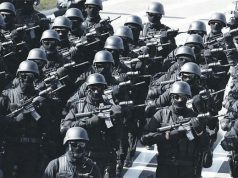 Rabat - As extremist violence reaches unprecedented levels in the Arab world and globally, Morocco has emerged as a world model of success in the fight against terror. Rabat – As extremist violence reaches unprecedented levels in the Arab world and globally, Morocco has emerged as a world model of success in the fight against terror. 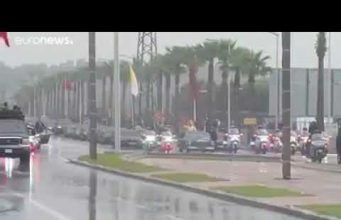 Tuesday May 16, marked the 14th anniversary of the suicide bombing in Casablanca, Morocco’s deadliest terrorist attack. Since this unprecedented violence, the kingdom has directed major efforts to counter terrorism through security operations and religious training, making itself an anti-terror leader regionally and around the world. Throughout the 20th century, Morocco remained relatively unscathed by terrorism. Then on May 16, 2003, the Moroccan economic capital of Casablanca was rocked by a suicide bombing, killing forty Moroccans. 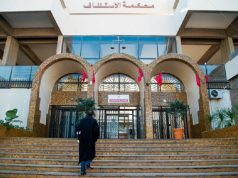 The French language magazine Jeune Afrique described the attacks as “Morocco’s 9/11,” adding that they “deeply changed the kingdom.” The tragic events marked the rise of extremism in the Kingdom, and paved the way for other terrorist attacks. In March and April 2007, Casablanca was once again hit by terrorism. 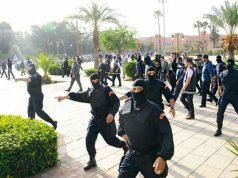 Two attacks were carried out by three suicide bombers in the impoverished neighborhood of Sidi Moumen and the Boulevard Moulay Youssef, near the American language center. Two other terrorists were arrested. Though the attacks caused the death of only one victim, in addition to the three attackers, they proved that the terrorist threat was lurking in every corner. Four years later, an explosion in cafe Argana in Marrakech’s main tourist center Jamaa El Fna left 17 Moroccans and foreign nationals dead and 21 injured. The attacks provided more reasons for Morocco to stay alert and enhance security actions to counter the deadly threat of terrorism. 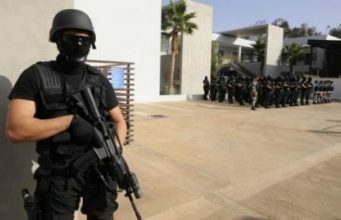 Since terrorist attacks in Marrakech in 2011, Moroccan security forces have succeeded in nipping terrorist cells in the bud and keeping the kingdom safe. “Morocco has adopted a pre-emptive strategy to prevent terrorist and political crimes from happening,” Khalid Cherkaoui Semmouni, director of the Rabat Center for Political and Strategic Studies, told the Erem press news agency. 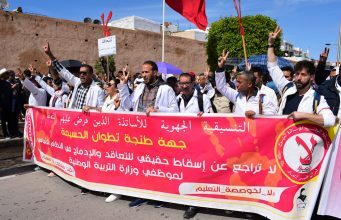 As the threat of terrorism grew, especially after the emergence of the Islamic State (ISIS), Morocco had to double its efforts to ensure security for its citizens and preserve the country’s stability in a troubled region. In 2015, the Central Bureau of Judicial Investigations (BCJI) was founded to meet the challenges posed by global terrorism. Since its creation, the Bureau has succeeded in dismantling over 43 terrorist cells and arresting more than 600 suspects. 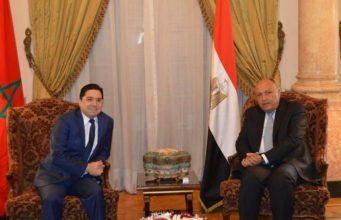 “We dismantle terrorist cells before they move to action,” said BCIJ director Abdelhak El Khiam in an interview with France24 in April. Among other strategies, the bureau monitors the web to intercept terrorist networks using social media to recruit individuals. The BCIJ has been calling for regional cooperation to counter mounting terrorist threats in North Africa and Sahel region. Despite enjoying more stability than its neighbors, Moroccan authorities are well aware of the danger of terrorism. 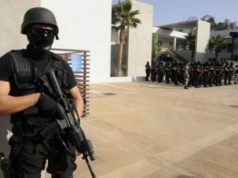 In February, Mohamed Moufakir, Wali and Director General of International Cooperation at the Ministry of Foreign Affairs, revealed that 168 terrorist cells have been dismantled in Morocco since 9/11 attacks. During these security operations, 2,963 suspects were arrested, helping thwart 341 criminal plans that were intended to destabilize the country. 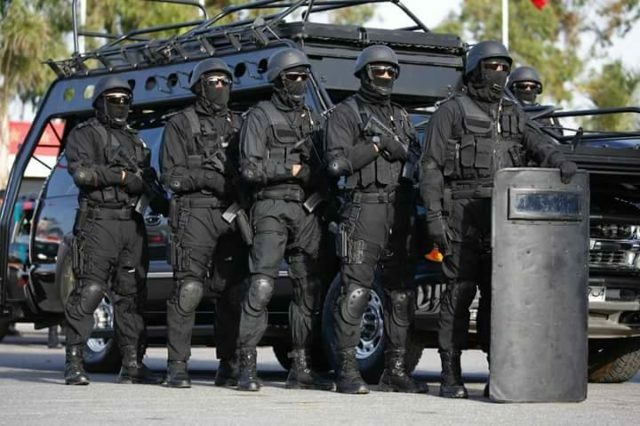 Morocco’s success in countering terrorist threats has made it a highly sought-after partner, with European countries pursuing strong cooperation with the kingdom. 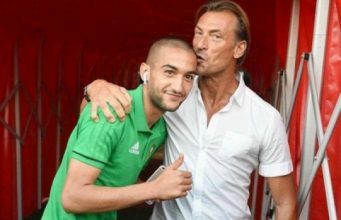 France as well sees Morocco an indispensable security partner. 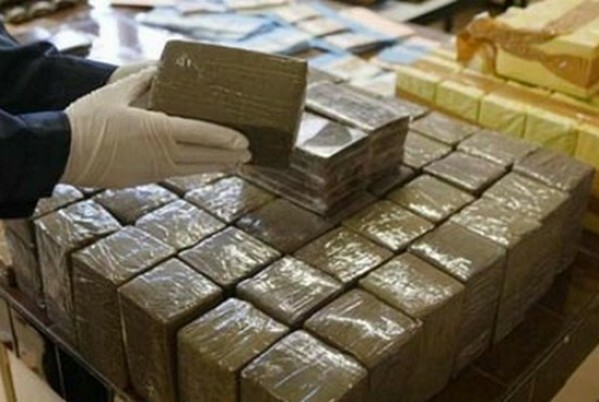 “Morocco is a key partner in efforts to ensure security and fight terrorism,” said former French Minister of Interior, Bernard Cazeneuve, during a press a conference in Morocco in February 2015. Many European experts praise the kingdom as an asset for a Europe increasingly anxious of ensuring its safety. “Europe’s security starts from Morocco,” wrote French military expert Frédéric Pons in Valeurs Actuelles. 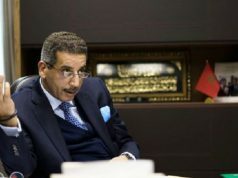 He cited the key information provided by Moroccan intelligence services that helped identify and arrest suspects in relation to the November 2015 Paris attacks as well as Belgian-Moroccan terrorist networks. Many have argued that the battle against terrorism cannot be won by force alone. No country seems to believe this idea better than Morocco. In addition to its heightened security operations, the kingdom has sought to tackle the problem in its roots. It has launched human development projects for impoverished areas in the cities, which often breed extremism, and has implemented a policy of religious reform, with a focus on moderate Islamic values and the promotion of peace and tolerance. In February 2016, King Mohammed VI gave instructions to review school textbooks, expunging discriminatory passages and advocating instead for coexistence and dialogue between civilizations. In addition, de-radicalization programs have been launched in prisons, where many extremism suspects and convicts are incarcerated. Religious scholars are engaged in the fight against the radical ideology. In November 2016 the League of Mohamadean Scholars, a state body of religious scholars, published a series of studies on religious misconceptions used by terrorist organizations to justify their actions. 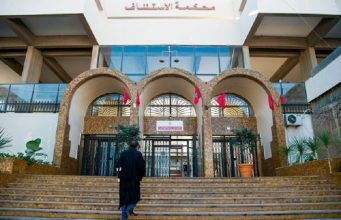 In 2015, the the Mohammed VI Institute for the Training of Imams, Morchidines, and Morchidates in Rabat was created to boost Morocco’s efforts to fight extremist ideology in Africa and internationally. The institute currently hosts more than 900 imams from Morocco, France, Mali, the Ivory Coast, Niger and French Guinea, all studying to be the bearers of messages of peace and acceptance of others. 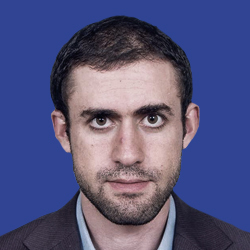 “Morocco’s expertise in religious reform and the fight against extremism in the name of a moderate Islam has to be taken into consideration,” said Charles Saint-Prot, director of the Observatory of Geopolitical Studies (OEG) in France.